Shouting out to challenge – loving gamers: a new game for you all to shoo away any life pressure is on the go! Love shooting alien monsters? Like to blow them up and defend our galaxy? 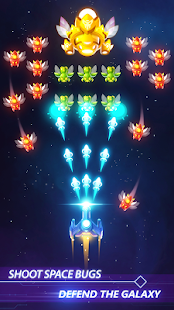 If absolutely YES, Alien Strike - Galaxy Shooteris the best shoot em up game for you. 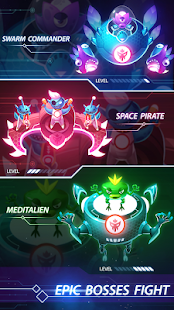 Our beautiful galaxy is under attack by evil alien monsters, and all are calling you, the Space Defender! As the guardian of the galaxy, you are the LAST HOPE of all civilians. Take control of your aerocraft and fight against those space intruders. 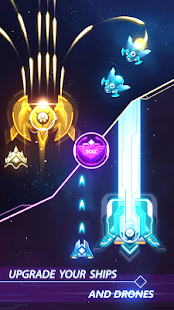 Make sure each battle you enter will be an epic one and shoot down every single monster that dares to swarm our galaxy. Fail to strike the evil down? Never surrender, you brave shooter! Try again and take your revenge on the alien invaders. * Tap screen and hold to move and hunt down all invaders. - FREE TO PLAY: No doubt Air Strike - Galaxy Shooter is a free game for the brave! - SIMPLE BASIC top down shooting gameplay: No tutorial required. - A BROAD RANGE OF DEADLY DANGEROUS ENEMIES and ENRAGED BOSSES: Hunt down every single monster to defend the galaxy. 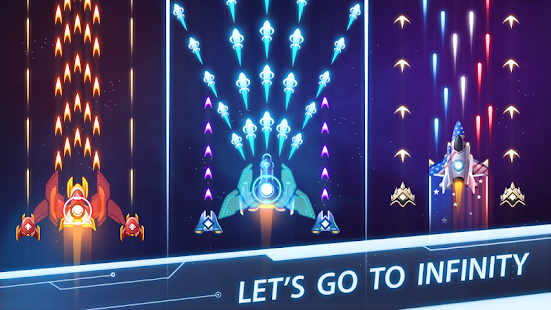 - MULTIPLE choices of Aerocrafts and Drones: Your squad will definitely ace the fights! - REWARDED MISSIONS AND ACHIEVEMENTS: Finish them all to gain huge! 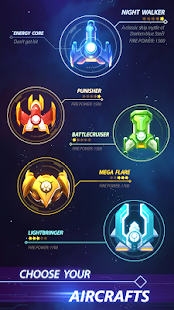 - NEW MODE ADDED: Endless battle with breathtaking actions! 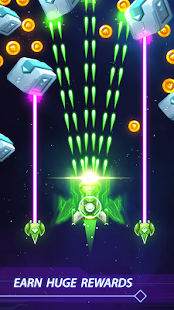 Feel the strengths of space force and enjoy simple but challenging space battles!with one of the games on the go!